Program will be in the Hospital Rock Building, Room 134. Park in lot 4, North of the COS Theater. You will need to buy a daily parking pass from a kiosk in the parking lot. Link to COS campus map. 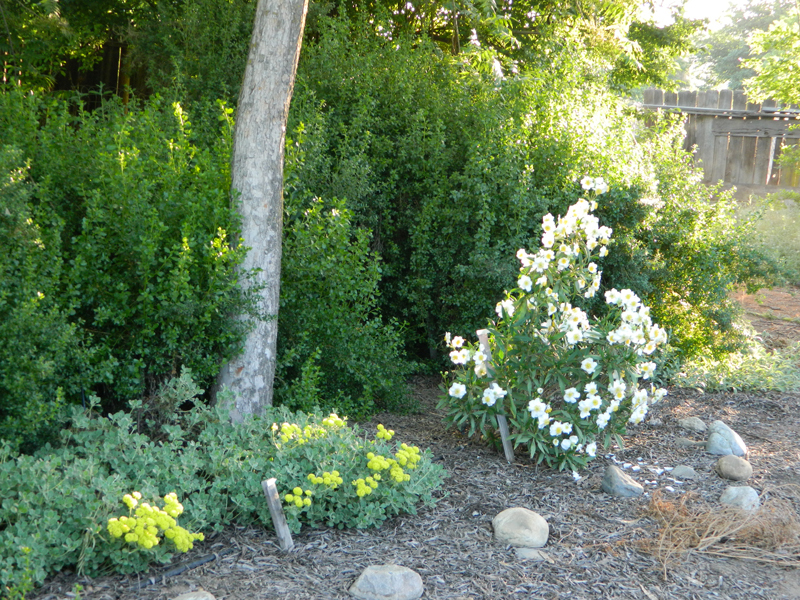 Consider this presentation a short-cut to transforming your yard into a beautiful, natural haven, that is low care and uses significantly less water. Become familiar with which of California’s many native species work well in the Central Valley’s hot, dry climate. Learn best practices for landscaping with them, whether you are integrating them into an existing garden, or removing your lawn and starting from scratch. Drought tolerant native plants will be colorfully illustrated, showing growth habit and desirable characteristics. Maximize your garden’s blooming seasons, create habitat for birds and butterflies, and learn simple, manageable landscaping principals to enable you to make the leap into a less stressful, more sustainable way of gardening. For more information call 559-799-7438. This entry was posted in Chapter Program and tagged native plant gardening. Bookmark the permalink.